Beat cream cheese until fluffy in small bowl. Fold in whipped topping and marshmallow creme until well mixed. 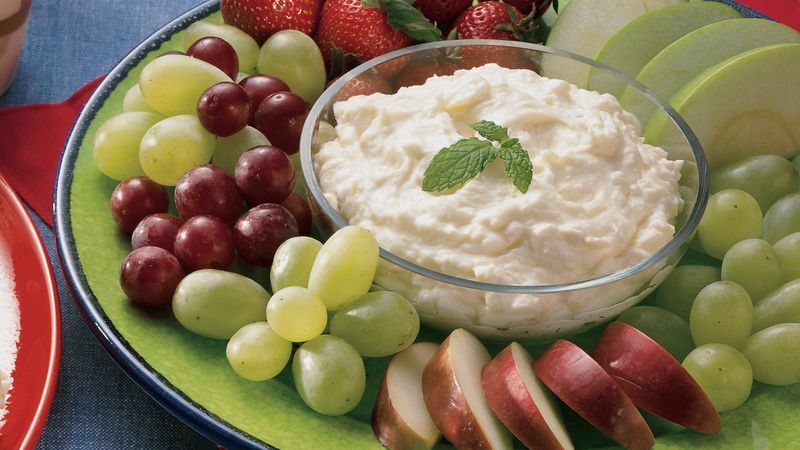 Serve immediately with cut-up fresh fruit or miniature cookies. Store any remaining dip in refrigerator.